This is the Main Room of the second floor. For larger events, this is where most of the action will take place. This room can also be equiped with seating for up to 75 guests and a projector and screen. 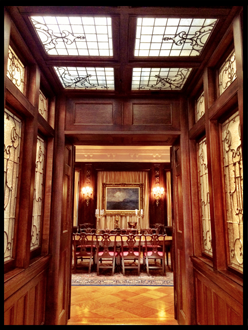 This is the Dining Room located on the Second Floor. The room can seat up to 20 guests for a meal, or hold up to 35 guests standing. It is also used for meetings and conferences. 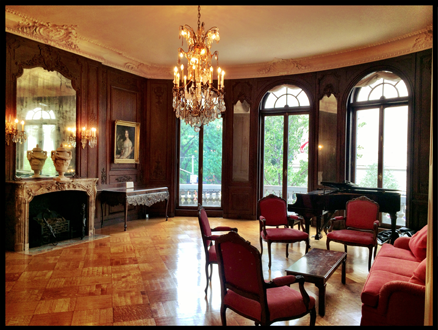 This is the Music Room located on the Second Floor, which has a balcony overlooking Fifth Avenue and a Steinway piano which can be used to entertain your guests. 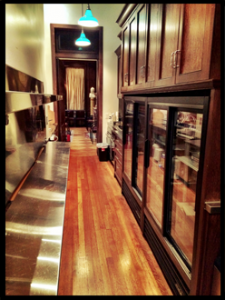 This is the kitchen located on the Second Floor. It can be used by catering staff or others to serve hot and cold food and beverages. 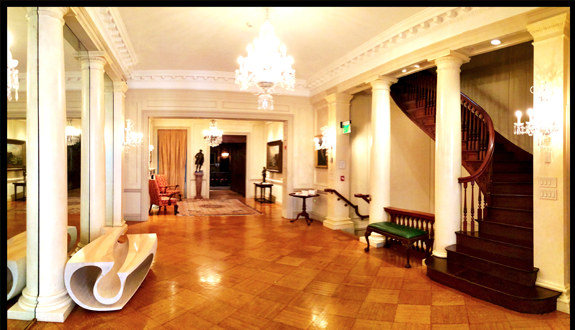 This is the Breezeway which attaches the Main Room to the Dining Room. This is the Boardroom located on the Third Floor. 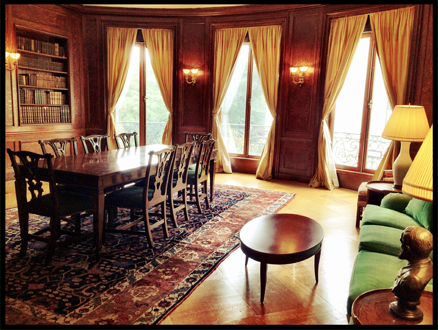 It is used for meetings and conferences of up to 25 guests. 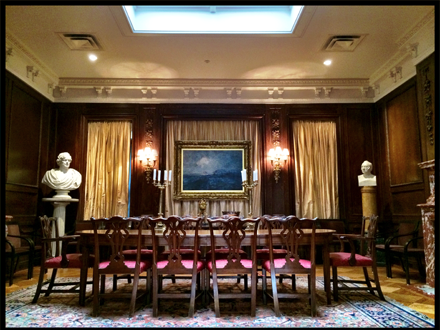 The American Irish Historical Society is open to outside groups or individuals who wish to have their event at the venue. Located on Manhattan’s Museum Mile, now you can use the AIHS headquarters as your hall to make your event extra special. The venue features a turn of the century historically preserved interior. However, the venue boasts modern features due to being reciently renovated. Some of the venue’s amenities include conference rooms, guest check-in with coatcheck, meeting hall overlooking Fifth Avenue and the Metropolitan Museum, a large galley kitchen, catering, lecturne, seating for up to 75 guests, dining room, sound system, projector and screen. The space is ideal for events such as lectures, concerts, fundraisers, banquets, birthdays, or retirements, and as a location for conferences, seminars, and business meetings. Rates are available upon request. Corporate members recieve use of the building when they join. Please fill out the form below and a staff member will be in touch shortly.